Cautious and introverted, 17-year-old Dove spends most of her free time pursuing her one true passion: painting. The twinkling lights of Balboa Island, the ferryboat to the peninsula, the fire pits on Big Corona Beach...these have long been the subjects of her canvases as she daydreams about finding an Audrey Hepburn-film kind of romance. A hotshot jock is not exactly the type of guy she's been looking for - but when Leo Donovan drops his cool act to show his vulnerable side, Dove begins to question everything. But first she'll have to navigate her way through claim-staking mean girls and disapproving parents - and still keep her focus on attending the art school of her dreams. 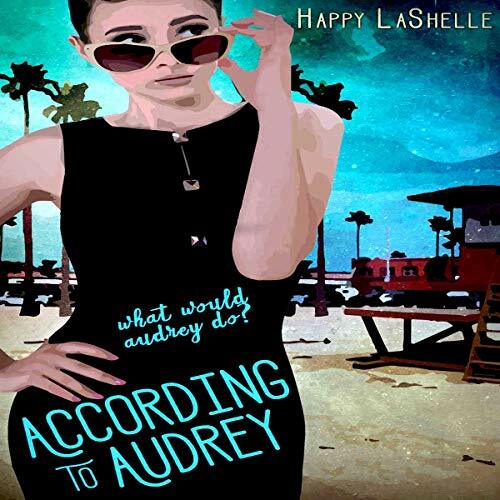 Fans of Audrey Hepburn and the movie Breakfast at Tiffany's will love this fun coming-of-age story. I don’t normally choose simplistic coming of age stories but this book was recommended because it all takes place in the stomping grounds of my youth and wow did the author nail Newport Beach as well as a high school seniors drama to a tee! Psychological decision making at this point in life was soo stressful and Miss LaShelle nails it without being stupid and depressing. I love all the references to Audry Hepburn “ poise and confidence” darlings!! Less feeling and more thinking. This maiden book’s plot and story line was surprisingly complex enough to keep this Diana Gabaldon fan hooked till the very end! Can’t wait to listen to her next in the series!! !